IRVINE, Calif. – Bowers and Merena Auctions, America’s leading rare coin auction house, will hold their Chicago Rarities Sale on Tuesday, April 15, 2008, at the Sofitel Chicago O’Hare Hotel in Rosemont, Ill. Among the more than 1,000 lots to cross the block is the only 1932-D Washington Quarter graded MS-66 by PCGS, as well as one of the most impressive selections of Buffalo Nickels to be offered in recent years. The 1932-D Washington Quarter (lot 322), Population 1/0 at PCGS, is part of the No. 1 ranked “Marquette-Yakima” NGC Registry Set of Washington Quarters 1932-1964, an extraordinary collection that contains a multitude of quality PCGS- and NGC-certified Washington Quarters, including some Population 1/0. The set boasts an impressive unsurpassable score of 65,302, and the complete collection will be auctioned in individual lots in Bowers and Merena’s Chicago Rarities Sale. The Marquette-Yakima Collection features additional top-of-the-pop rarities that are sure to see significant competition among Registry Set collectors when they appear at auction on April 15. 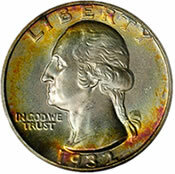 “The entire ‘Marquette-Yakima Collection’ is exceptional, but this 1932-D Washington Quarter is truly the best there is, the finest known and an absolutely superb example,” said Steve Deeds, president of Bowers and Merena. “It last sold in 2001, before Registry Sets popularized the collection of the finest examples. The Chicago Rarities Sale offers an exclusive catalog of just over 1,000 of the most extraordinary rarities available for auction, including an exceptional selection of Buffalo Nickels. Lot 218, a 1926-S Buffalo Nickel graded MS-66* by NGC, tops the list, and according to NGC Census, only 2 are known (1 in MS-66 and the present example as an MS-66*), 0 finer; PCGS has not certified a single 1926-S Nickel finer than MS-65. Also notable are lot 196, a 1916 Buffalo Nickel FS-016 Doubled Die Obverse, graded MS-64 by NGC, and lot 219, a 1927-S Buffalo Nickel graded MS-66* by NGC. Lot 14 1858 Flying Eagle Cent. Large Letters. MS-66 (PCGS). Eagle Eye Photo Seal. Lot 79 1902 Indian Cent. 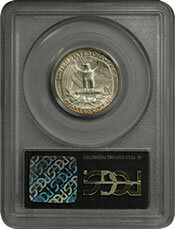 Proof-68 RD (PCGS). Lot 93 1914-D Lincoln Cent. MS-65 RD (PCGS). CAC. Lot 98 1922 No D Lincoln Cent. Die Pair II. Strong Reverse. MS-64 BN (PCGS). CAC. Lot 196 1916 Buffalo Nickel. FS-016. Doubled Die Obverse. MS-64 (NGC). Lot 205 1918-S Buffalo Nickel. MS-66 (NGC). Lot 207 1919-S Buffalo Nickel. MS-66 (NGC). Lot 218 1926-S Buffalo Nickel. MS-66 * (NGC). Lot 219 1927-S Buffalo Nickel. MS-66 * (NGC). Lot 259 1927-S Mercury Dime. MS-67 FB (NGC). Lot 276 1831 Capped Bust Quarter. B-1. Rarity-2. Small Letters. MS-66 (NGC). 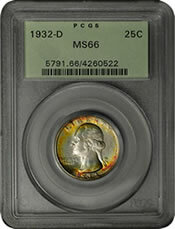 Lot 322 1932-D Washington Quarter. MS-66 (PCGS). Lot 407 1795 Flowing Hair Half Dollar. O-114. Rarity-6. MS-64 (NGC). Lot 467 1921-S Walking Liberty Half Dollar. MS-65 (NGC). Lot 476 1795 Flowing Hair Silver Dollar. B-1, BB-21. Rarity-1. Two Leaves. MS-61 (NGC). Lot 517 1836 Gobrecht Silver Dollar. Name Below Base. Judd-58 Restrike, Pollock-61. Rarity-6-. Proof-62 (NGC). Lot 529 1870 Seated Liberty Silver Dollar. Proof-67 * Cameo (NGC). Lot 602 1895 Morgan Silver Dollar. Proof-66 Cameo (NGC). Lot 625 1921 Morgan Silver Dollar. Chapman. Proof-65 (NGC). Lot 711 1851 Augustus Humbert. $50 Gold. K-5. Rarity-5-. Reeded Edge, 880 THOUS., Target Reverse. MS-62 (NGC). Lot 734 1879 Pattern Metric Double Eagle, or Quintuple Stella. Judd-1643, Pollock-1843. Rarity-7+. Proof-64 Cameo (NGC). Lot 761 1848 Liberty Quarter Eagle. CAL. AU-58 (PCGS). Lot 856 1795 Capped Bust Right Eagle. BD-4, HBCC-3172, Taraszka-4. Rarity-5. 13 Leaves. MS-64 (NGC). Lot 939 1908 Saint-Gaudens Double Eagle. Motto. Matte Proof-67 (NGC). Lot 999 1925-S Saint-Gaudens Double Eagle. MS-65 (NGC). Bowers and Merena Auctions was founded in 1983 and has grown to become the world’s preeminent numismatic auctioneer with more than half a billion dollars in rare coin and currency sales. Bowers and Merena has handled four of the five most valuable United States coin collections ever sold, including the Louis E. Eliasberg Sr. Collection, the Harry W. Bass Jr. Collection, the Garrett Collection for The Johns Hopkins University, and the Norweb Collection. For more information about Bowers and Merena and the Chicago Rarities Sale on Tuesday, April 15, call 800.458.4646. For media inquiries, ask for President Steve Deeds. Complete prices realized for all past auctions are available at www.bowersandmerena.com.